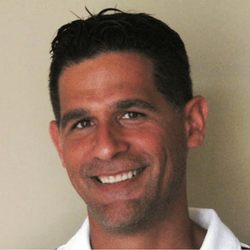 David is a USPTA/PTR, P1 Professional with over 20 years of diverse professional experience. He is currently a Senior Manager of Coaching Education and Performance at the USTA Player Development National Training Center in Orlando. David's primary responsibilities include implementing strategic initiatives of Player Development, such as projects for the departments of Coaching Education, Sport Science and Talent Development. David is also a Dartfish Certified Technician and Performance Analyst, and works closely with the USTA National Coaches and Training Center students to provide training and video analysis for technique and tactics. He is an expert at examining and dissecting the elements required for optimal tennis technique.